"I don't know what the big deal with Hamlet is, it's just one famous saying after another, strung together by a moldy old plot." There are certain shows that you can safely assume most people have seen. These shows were considered fantastic when they first aired. Now, however, these shows have a Hype Backlash curse on them. Whenever we watch them, we'll cry, "That is so old" or "That is so overdone". The sad irony? It wasn't old or overdone when they did it, because they were the first ones to do it. But the things it created were so brilliant and popular, they became woven into the fabric of that show's genre. They ended up being taken for granted, copied and endlessly repeated. Although they often began by saying something new, they in turn became the new status quo. It's basically the inverse of a Grandfather Clause taken to a trope level: rather than being able to get away with something that is seen as overdone or out of style simply because it was the one that started it, people will unfairly disregard it because it got lost amidst its sea of imitations even though it paved the way for all those imitators. That is, a work retroactively becomes a Cliché Storm. There may be good reason for this. Whoever is first to do something isn't likely to be the best at it, simply because everyone that comes after is building on their predecessors' work. Named after the sitcom Seinfeld, which many people won't watch any more because everything about it has been copied. Most likely will result in Fan Haters and accusations of Rule Abiding Rebels. This can also occur in countries that get the shows years after they originally come out. Compare Appeal to Novelty, Older Than They Think, Discredited Meme, Unbuilt Trope, Franchise Original Sin, Hype Backlash, Rule-Abiding Rebel, Early Installment Weirdness, and Dead Horse Trope. Contrast Vindicated by History. This is a special case of Older Than They Think, when the Trope Codifier is still around or still highly regarded. The same principle applied to ethical or cultural issues is Fair for Its Day. The exact opposite of Values Resonance. The worst outcome is Deader Than Disco. Occasionally overlaps with Values Dissonance. Oh, now I get it! 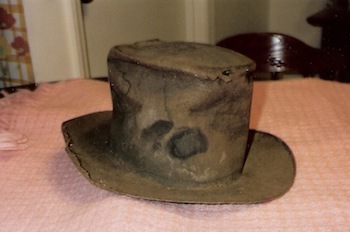 It's an old hat!